LG's updated flagship OLED TV for 2018 packs Google Assistant in addition to HDR, HFR and Dolby Atmos support. 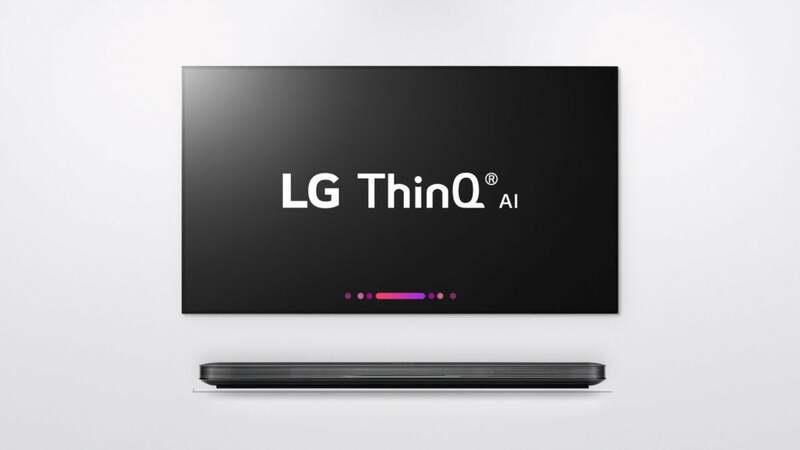 The name ThinQ doesn’t shout AI or voice commands to us, but that’s what LG is calling it. Color is also said to be improved, with both advanced mapping and correction algorithms being performed by new, more-capable Alpha 9 CPUs. Also on board many models is the company’s ThinQ AI, which supports voice commands via LG’s own, or third-party services. The 6300 and 6500 series LED/LCD TVs will still feature the company’s controversial RGBW technology which many, including myself, argue reduces effective resolution to 2.88K. I recommend viewing a LG RGBW TV side-by-side with any normal RGB 4K UHD TV displaying detailed 2160p (4K UHD) content before purchasing.